S&C Slatter has announced the acquisition of White Horse Contractors, which now becomes a member of The Slatter Group. Established in 1957 by Arnold Binning, White Horse Contractors provides natural turf sports facilities, land drainage, water engineering, landscaping and civil engineering projects. It has gained a first-class reputation for quality and service in these sectors. 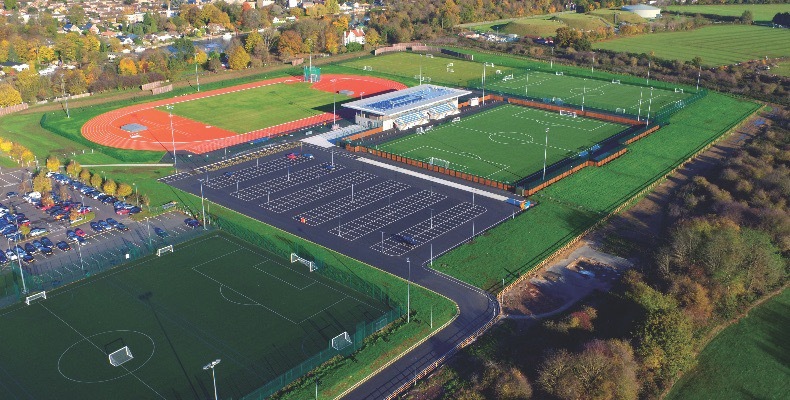 Well-established family business S&C Slatter designs and constructs sports facilities including artificial and natural pitches, multi-use games areas (MUGAs), hard and soft landscaping. The surfacing and civils division is also very successful in securing an increasing share in the infrastructure sector: car parks, roadways and hard standings. The acquisition means The Slatter Group will now offer a wider scope of services to a broad range of clients within the sports grounds, amenity, leisure, agricultural and equestrian sectors. S&C Slatter said the “knowledge base and resource that White Horse Contractors brings to the group complements perfectly the skills, technology and experience in artificial surfacing, civil engineering and project development accessible from the existing specialist divisions of S&C Slatter”. David Slatter, who oversees the operations of all group companies, said: “When I first took over the business from my father, we provided sub-contract services for White Horse Contractors on their bigger projects. For me they were always the ‘gold standard’ which I was aiming to emulate and to this end I saw a perfect opportunity to approach the directors of White Horse Contractors. James Binning is the third generation of the Binning family to chair White Horse Contractors and said: “I am delighted that we have found another family business which can take White Horse Contractors to new heights and that shares our company ethos and family values. White Horse Contractors’ workshop and plant will continue to grow and thrive under a new name, Muddy Plant Hire Ltd, providing specialist plant hire services to The Slatter Group and the industry.